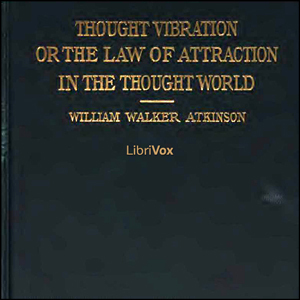 This week's freebie is a vintage Law of Attraction audio book by William Walker Atkinson. Written in 1906, Thought Vibration Or The Law of Attraction In The Thought World was one of at least 100 books written by this author under his given name. He additionally published New Thought Movement books under many pseudonyms to protect his privacy and avoid harassment as a pioneer in the field. New Thought and The Law of Attraction were not popular topics at that time he began writing on the subject. Aside from being a prolific author, Atkinson was also an attorney, businessman, publisher, and occultist in his lifetime. Not occupations you would normally attribute to New Age theory development. But they did. Although he became a very successful and prosperous lawyer, the stress eventually took a tremendous toll on Atkinson. Everything in his life became unravelled. He had a complete mental and physical breakdown and was ruined financially. Believe it or not, that's when the "good" stuff began to happen. In the late 1880s, Atkinson finally found what he had been searching for since his collapse - a healing modality that worked! It was New Thought theories (a.k.a. Law of Attraction; also called Mental Science in those days) that he credited with his return to vigorous health, mental agility and a return of his prosperity. His own success with New Thought principals was Atkinson's trigger to publish information about it for the masses. He began writing and publishing articles and books prolifically and moved to Chicago to become the editor for a few burgeoning New Thought Movement magazines. 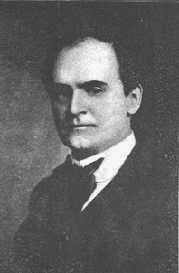 "Atkinson died November 22, 1932 in Los Angeles, California at the age of 69, after 50 years of simultaneously successful careers in business, writing, occultism, and the law. The above is just a brief glimpse of a passionate, prolific man who has left us a Law of Attraction legacy. Although I put this under the tag of Friday Freebie, I guess it should really read, Friday Find, as the audio player is embedded in the post. If you like, you can click on the player's building icon on the upper right of the player. That will take the player to a blank page. From there, you can save the page for listening to later, if you prefer. I hope you enjoy listening to Thought Vibration Or The Law of Attraction In The Thought World. It's a piece of LOA history that can still be helpful, all these years later. Thank you for this!! I will be spending my time the next couple of days listening to this audiobook. Are there any other recommendations you have for audiobooks on the law of attraction?